While we’re on the subject, db popped into The Coral Room in The Bloomsbury Hotel to try out the new cocktail menu on Tuesday, designed by the affable general manager Giovanni Spezziga and his team. The bar, one of London’s prettiest, is well known for its focus on English sparkling wine, which is reflected in the drinks, such as the Black Forest Crush, which marries Belsazar Red vermouth with mint syrup, orange bitters and English fizz, and the Wiltshire Warrior, which combines it with Sipsmith Vodka, lime juice, agave and watermelon purée. 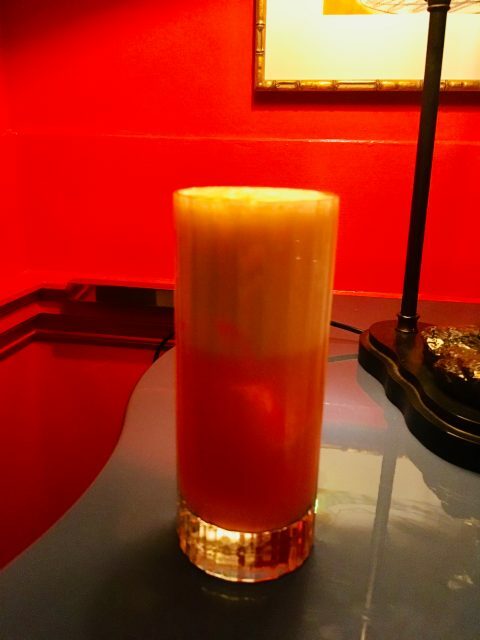 Our favourite tipple was the Dust & Rust (pictured), a vibrant orange-coloured long drink that blended Amaro Nonnino, Campari, orange bitters, lemon juice, caramel syrup, egg white and soda water.